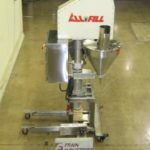 All Fill, Model SHAA-400, automatic, single head, auger filler. Number of containers per minute – depending on materials, application, and operator dexterity. 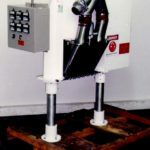 Equipped with 22" diameter x 19" deep, 16 gallon stainless steel, seamless, product hopper with dust cover and 6" OD product in feed chute, 1½ Hp auger and ½ hp agitator motor drive and 116" long x 1½" wide (2) chain conveyor. Control panel has Cerebus III controller with touch pad controls. Alpha, Model PW-12, checkweigher. 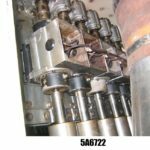 Rated from 10 to 225 packages per minute – depending on materials, application, machine configuration and enviroment. Weight range: up to 3600 grams with accuracies: up to ± .250 gram. Can handle up to 14" long x 8" wide packages. Equipped with 8 wide x 14" long in feed belt conveyor, 8" wide x 14" long belt load cell, 8" wide x 14" long belt ram arm reject station. Control panel has push button operator interface with LED display and 25 program storage. 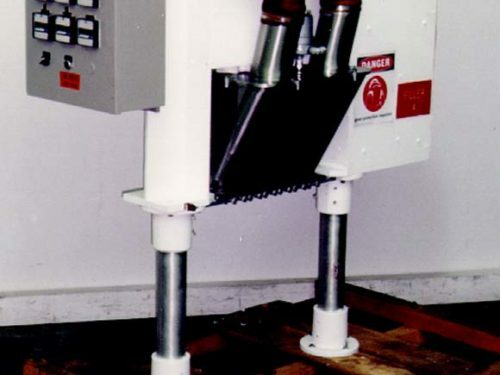 Mounted on stainless steel frame with screw in leveling pads for a current infeed and discharge height of 32". All Fill, Model DHA, dual head inline auger filler. 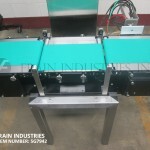 Equipped with (2) 24" diameter x 17" deep agitated product hoppers, (2) spinner plates, 3¼" wide x 120" long delrin style conveyor with an infeed and discharge height of 36" and pneumatic indexing. Control dials for power, clutch, start fill, filling station selection and agitation. Varible controls for agitation, delay after fill, transfer time and conveyor. 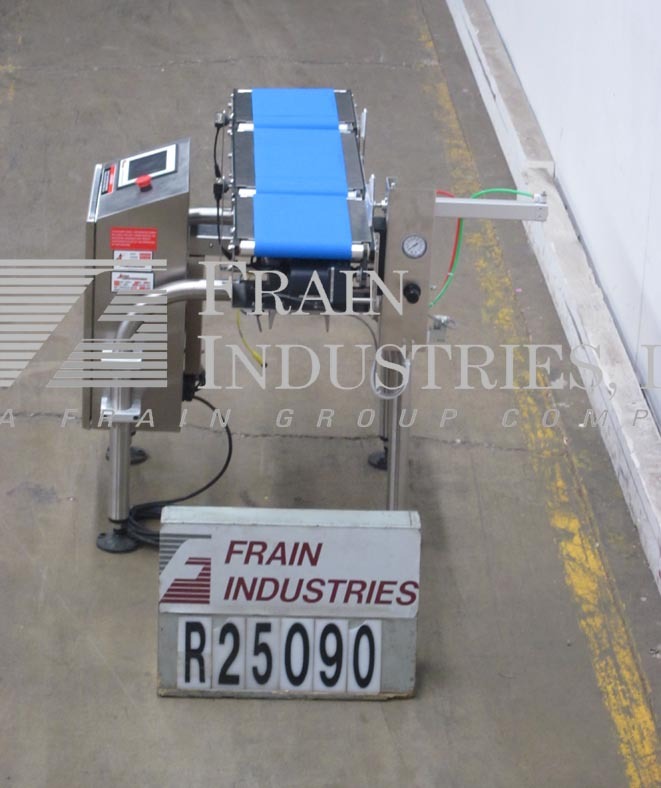 All Fill Alpha ,Model EW8, inline, stainless steel, 3 zone checkweigher rated from 20 to 100 packages per minute – depending on materials, application and machine configuration. Digital strain gage load cell, can handle packages to 12" in Length; 8" in Width, up to 5 lbs per package with accuracy up to +/- 1.35 grams. 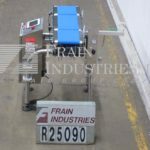 Equipped with over, under and on weight load cell with 19" L x 8" W belt conveyor and 13" long x 8" wide in feed and discharge belt conveyors with air ram reject. Control panel with touch pad controls and LED display, direct feedback capability and up to 25 program storage. Mounted on tubular steel frame with height adjustable legs. Semi-automatic auger filler. Equipped with a 16 gallon agitated hopper and AB Micrologix 1500. Contact parts: 316L stainless steel Tooling required per application.